In-separable childhood friends, Raju and Guddi are separated when Guddi's dad, Ramlal is arrested by the police for theft. Years later Guddi is now a cabaret dancer and singer, Seema, while Raju is a thief and professional gambler, Chander. They does meet and fall in love with each other unknown that they are childhood friends. 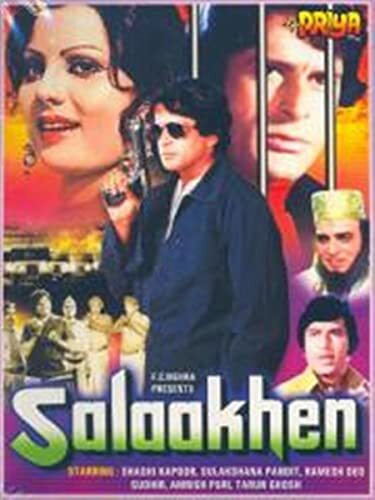 They linked up to go on a visit to their childhood place of residence; Seema goes for religious reasons while Chander for selfish reasons namely to assist a prisoner to escape which earns him a hefty sum from a gangster.In-separable childhood friends, Raju and Guddi are separated when Guddi's dad, Ramlal is arrested by the police for theft. Years later Guddi is now a cabaret dancer and singer, Seema, while Raju is a thief and professional gambler, Chander. They does meet and fall in love with each other unknown that they are childhood friends. They linked up to go on a visit to their childhood place of residence; Seema goes for religious reasons while Chander for selfish reasons namely to assist a prisoner to escape which earns him a hefty sum from a gangster.